The Republican Party’s main legislative achievement was to facilitate the direct transfer of hundreds of billions of dollars into the hands of business owners. (The proceeds of the Trump tax cuts are mainly going into stock buybacks, a simple windfall for owners of capital.) 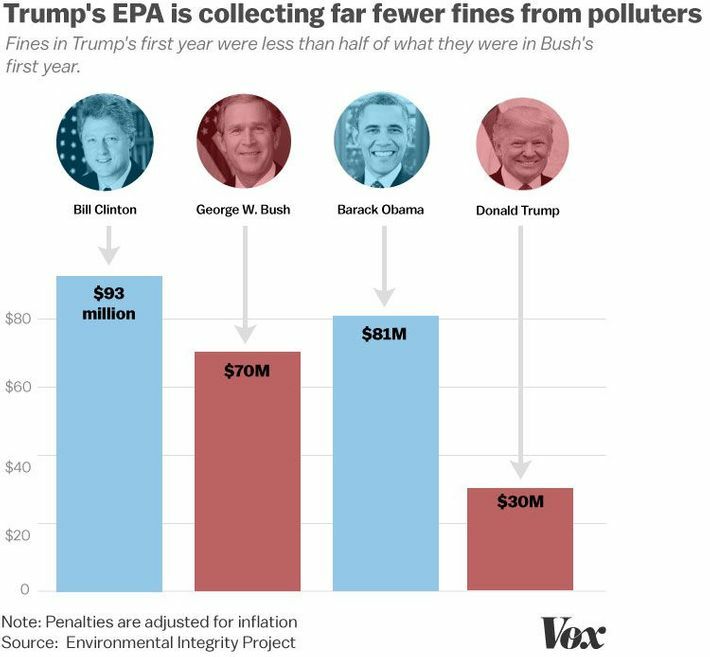 But a second, less visible channel is the Trump administration’s program of lax regulation. While the tax cuts spray money at business owners as a whole, weak enforcement of regulations confers a windfall targeted specifically at businesses that cheat their customers or break the law. The Consumer Financial Protection Bureau was created to fill in a bare spot in the federal regulatory design: financial products, which are inherently complex and in need of regulation, had been marketed to largely unwitting customers with a minimal amount of oversight, resulting in endemic fraud. Mick Mulvaney, Trump’s director of the CFPB, has called the agency itself a “sick, sad joke.” Just how his vision would translate into practice has already become apparent. 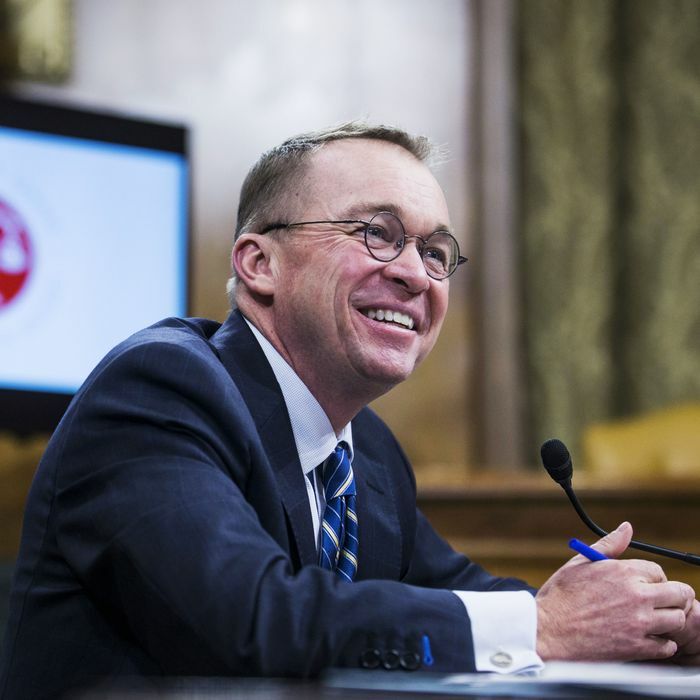 Chris Arnold reports for NPR that Mulvaney forced the agency to drop a lawsuit against alleged loan-shark outfit Golden Valley Lending. Arnold found a Golden Valley victim named Julie Bonenfant, from Detroit, who needed money after a breakup and having her car stolen led to falling behind on rent. Over the course of a year, Bonenfant paid $3,735 to Golden Valley for a $900 loan. “A key backer of Golden Valley was recently convicted of racketeering charges in a case involving another online lender, according to court documents,” reports Arnold. A spokesperson for Mulvaney told Arnold that the decision to drop the case against Golden Valley, which CFPB staff had spent years building, was made by the agency’s staffers themselves. Staffers denied this wildly implausible defense, and Mulvaney’s spokesperson eventually retracted it. That, at any rate, is a ground-level picture of the changes in government Trump has ushered in. A massive shift in power and resources is underway, from consumers and workers to business owners. The natural confluence of interest between Trump’s inclination as a proprietor of business scams, and the laissez-faire instincts of his partisan allies, is a golden age for corporate crime.